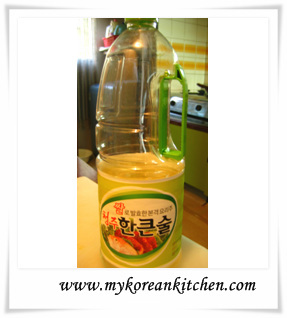 Rice wine or refined rice wine is an essential pantry item in Korean cooking. Below is my new cooking wine. I bought it for about AUD $3.00 for 500ml (Mirim 미림 by Lotte) at a Korean grocery store. I used to use ‘refined rice wine’ to get rid of the meat smell. However, it also contains natural succinic acid which apparently gives a refreshing taste as well. Here is the picture of the refined rice wine that I used. I only use it for cooking purposes, so it lasts a long time. Its Korean name is “Cheong-Ju (청주)“. “Ju” (酒 in Chinese Chracter) means alcohol in Korean. 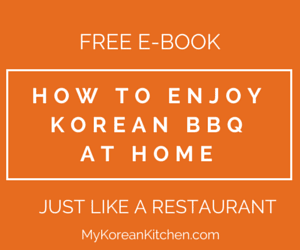 Find more about Korean kitchen essentials. Hi Jean, yes, you can use Japanese mirin instead. Mirim is just a Korean product name. 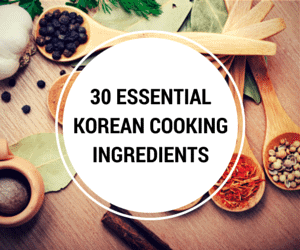 Depending on a recipe, you could use soju, but not all the times. I would use soju or any leftover wines when I marinate meat. Hope this helps! 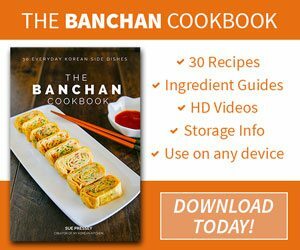 Hello, would you know what’s the difference between Chinese rice wine vs Korean rice wine? Can I substitute one for the other in cooking? Frankly speaking, I do not know Chinese rice wine well, because I’ve never tried it. But I’ve tried Japanese rice wine – both sake and mirin in my Korean cooking (as a substitute of Korean rice wine) from time to time. And, yes, sake and mirin are different. The latter is sweeter. I bought a bottle of Lotte mirin at a Korean Market because many recipes would have mirin in it. I used some to make salad dressing but it gave this weird bitterness taste. Is that normal? Hi Macy, Maybe? I don’t normally use mirin in a salad dressing, so I can’t tell. Was it my recipe? (That would be funny. Lol) But I suppose it’s possible since it has some alcohol property. Did the recipe call for mirin / rice wine? 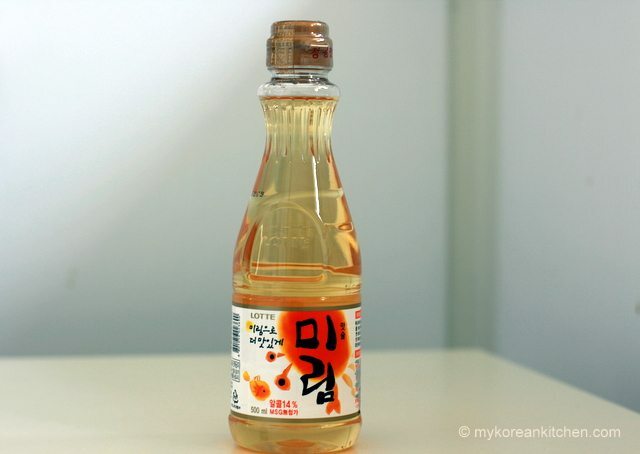 Long time follower- I can’t find Cheongju in my country, and only non-alcoholic Mirin (all hard alcohol can only be obtained through government retailers), and I’ve heard that Vermouth or Sweet sherry is the best substitute for it. I was wondering what your input is? Hi Miriam, I’ve never heard of vermouth or sweet sherry before, so I did a quick search. FYI, when I don’t have mirin in my pantry, I sometimes use leftover wine at home (with no added sugar). And, I’m happy with the result it gives. Hi Sue, i’m just wondering if you could give me some advice, what type of vegetable oil i should buy? because there’re many types of oil sold out there. I use rice bran oil for most of stir-fried cooking. I heard that it has a higher burning point. The particular brand I am using is Alfaone. I haven’t seen any other rice bran oil in Australia yet. What is “parched” sesame seed? It’s (completely) dried sesame seed. The bottle in the picture has Hangeul on it which looks like “HanKheunSul”. Not to be confused with the alcohol, there is also a reasonably sized city called Cheong-ju, 청주, 淸州. Although I don’t know Korean, I would venture to say that the “Chung” in “Chungju” means clear (æ·¸ in Chinese). Please correct me if I’m wrong. As far as I know, Japanese mirin isn’t 100% alcohol, but Chung ju is. Also mirin has a slightly sweet taste (I heard that it has some kind of chemical additives but Chung ju doesn’t). First, I must say, I love this site! I’ve never used the Korean “Chongju” when I cook, though I’ve seen it come up on here and in Korean cookbooks. I can tell that its far different from the typical Chinese cooking wine, but how does it differ (if at all) from something like Japanese Mirin? Thanks!